2-10-2 34 at Springfield, Missouri on January 5, 1938 (Arthur B. Johnson). 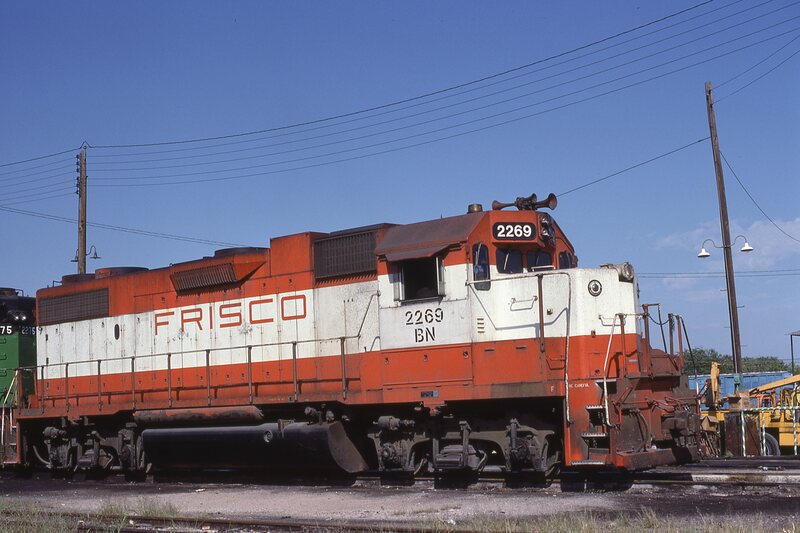 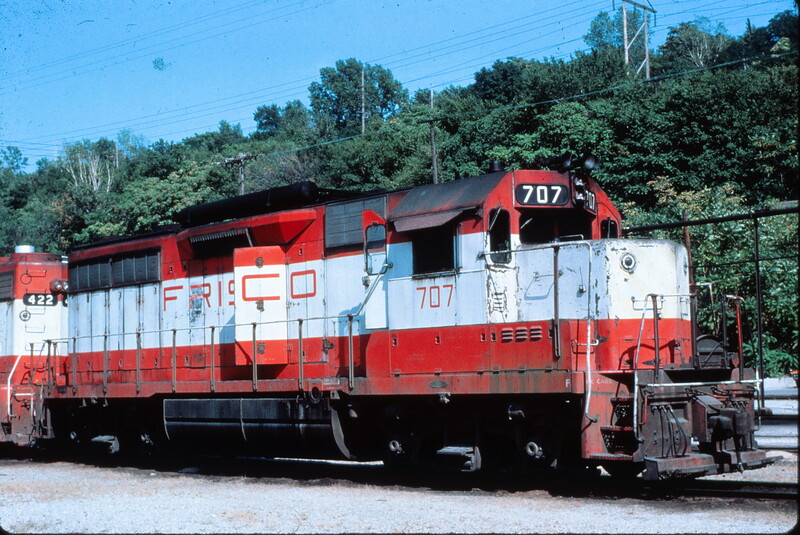 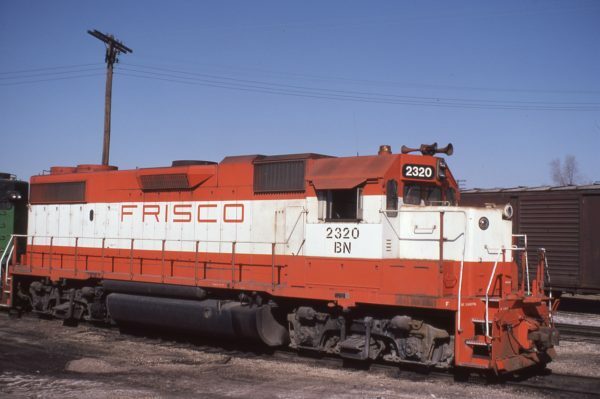 GP38-2 2269 (Frisco 414) at Fort Worth, Texas on September 27, 1981. 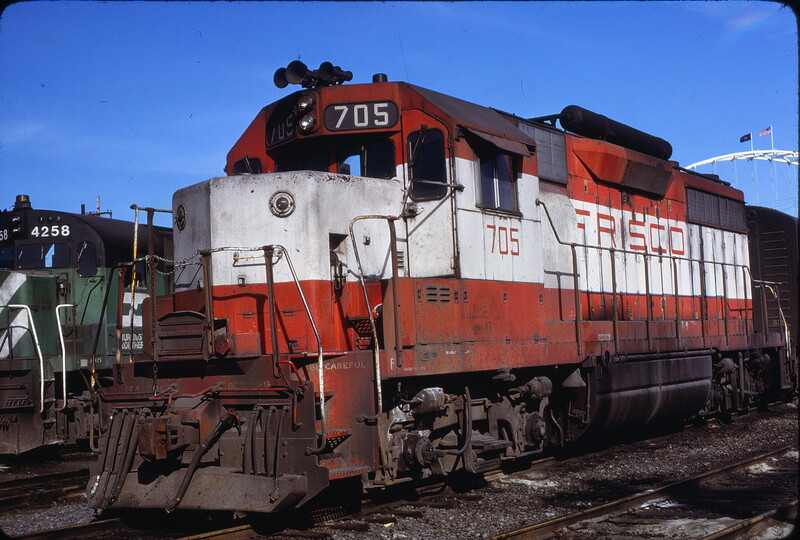 GP35 705 at Portland, Oregon on March 10, 1979 (Kenneth Ardinger). GP38-2 2320 (Frisco 465) at Ottumwa, Iowa on February 18, 1981 (Gary Powell). 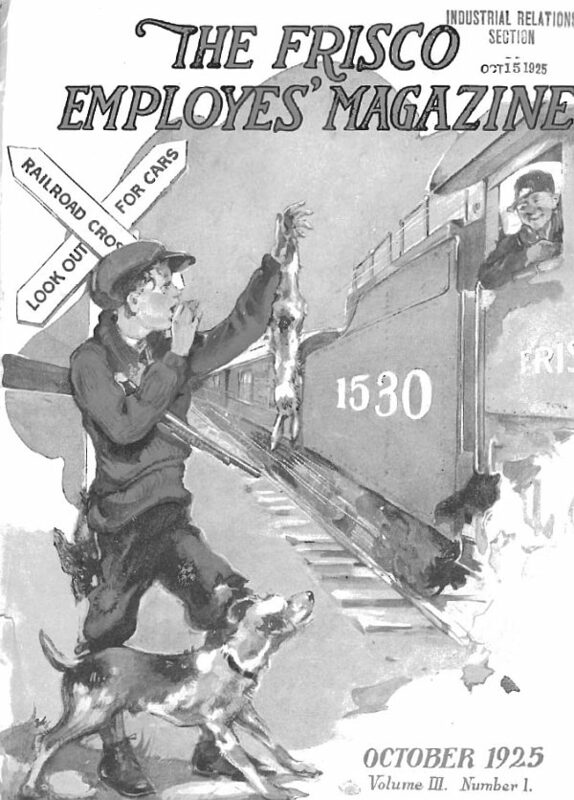 Frisco Employes’ Magazine – October 1925 (PDF). 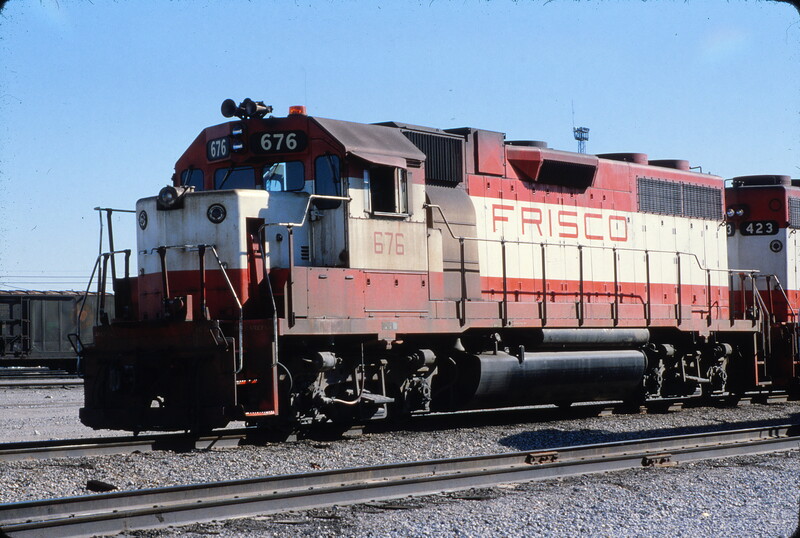 GP38-2 676 at Tulsa, Oklahoma on October 28, 1979. 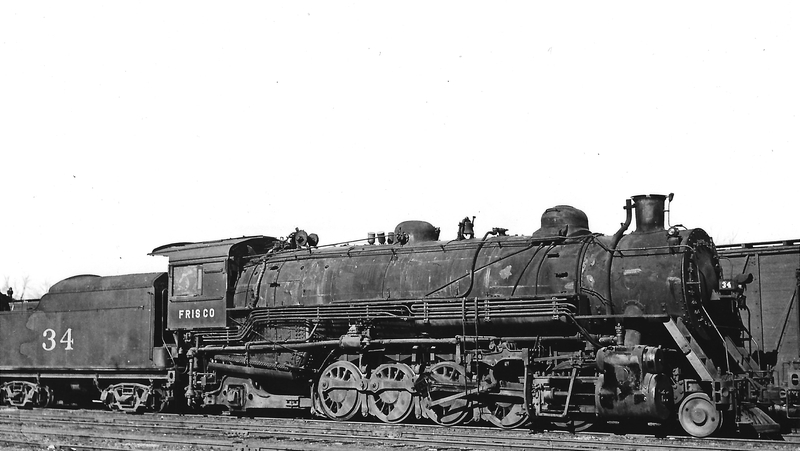 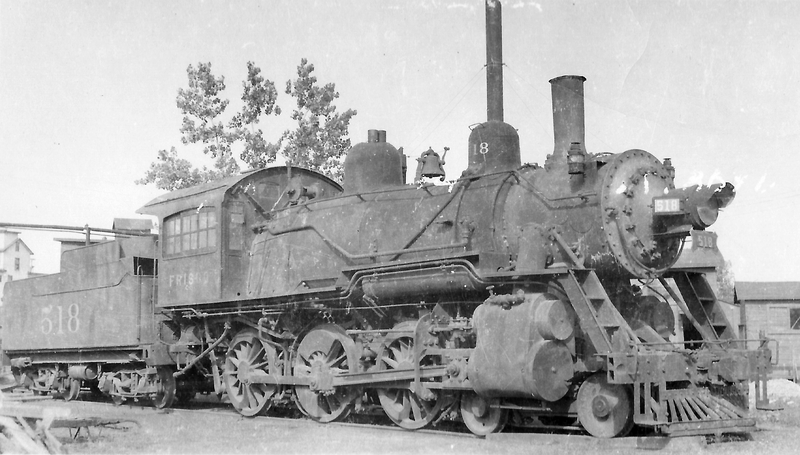 4-6-0 518 at Kansas City, Missouri (date unknown). 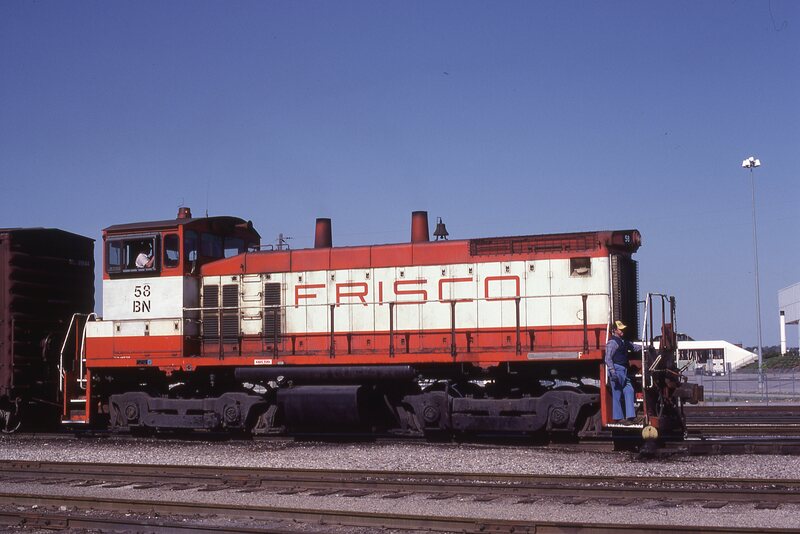 SW1500 58 (Frisco 353) at Kansas City, Missouri on April 23, 1981. GP35 707 at Kansas City, Missouri on September 3, 1978 (Charly’s Slides). 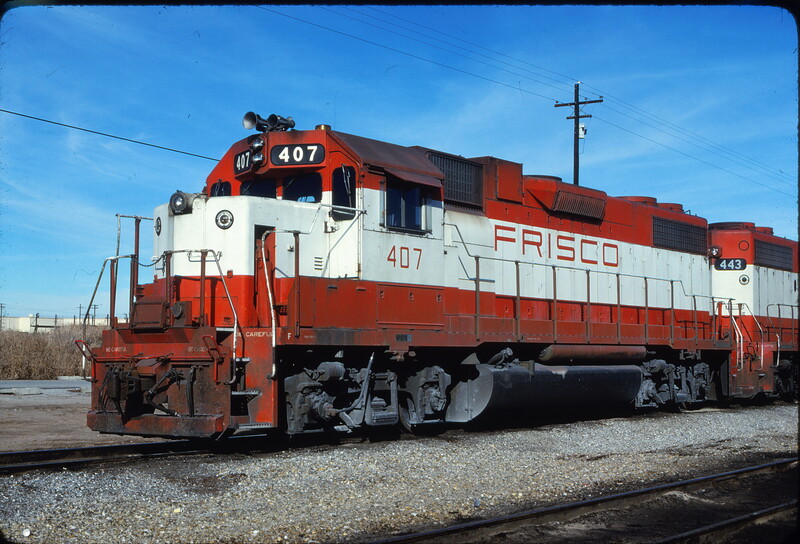 GP38-2 407 at Tulsa, Oklahoma on November 28, 1980 (Bill Bryant).